Some of your clients with age-based accounts may have questions for you after reviewing their third-quarter account statements. The quarterly statements showing account transactions and balances for the period of July through September reflect important changes to predetermined and customized age-based accounts that went into effect on July 14. As you may recall, UESP notified account owners and financial advisors of the changes before the July implementation. What are the changes and what do they mean to age-based account owners? The number of age brackets in all age-based investment options was increased to 10 from seven to further smooth the transition from equities to fixed-income funds as the account beneficiary ages. The College Enrolled trigger was removed from all age-based options. 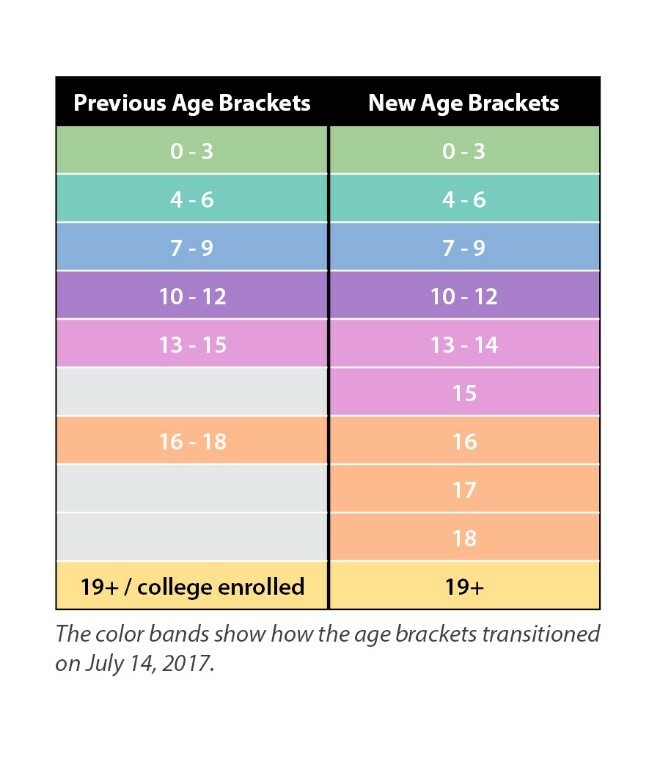 An age-based account will no longer automatically move to the Age 19+ bracket if funds are withdrawn to pay the qualified higher education expenses of a high school student who enrolls in a college course. Vanguard Total International Bond Index Fund (VTIFX) was added to the Age-Based Aggressive Global, Age-Based Moderate, and Age-Based Conservative options as an underlying investment to increase diversity and reduce potential investment risk. Vanguard Short-Term Bond Index Fund (VBIPX) is no longer an underlying fund for any predetermined age-based investment option. Money was reallocated on a pro-rata basis to the other underlying investment funds in each investment option. The fund is still available in the customized options. You may also want to remind clients with Customized Age-Based or Customized Static accounts (or both) that UESP added three funds as optional underlying investments. Dimensional U.S. Sustainability Core 1 Portfolio (DFSIX). VWEAX increases the diversity of the fixed-income investments that UESP offers. VFTSX and DFSIX invest in companies that adhere to social, moral, religious, or environmental principles. DFSIX “purchases a broad and diverse group of securities of U.S. companies with a greater emphasis on small capitalization and value companies as compared to their representation in the U.S. Universe, while adjusting the composition of the Portfolio based on sustainability impact considerations,” according to Dimensional. Finally, UESP lowered the Administrative Asset Fee charged annually to accounts invested in four age-based investment options and five static investment options to 0.160 percent from 0.170 percent. UESP also eliminated its annual Administrative Mail Delivery Fee. The mail delivery fee was charged to non-Utah residents who elected to receive UESP communications, such as quarterly statements and the Program Description, by mail. Utah residents and non-Utah residents who receive UESP communications online were not required to pay the fee.